When Are You Getting More Babies? We are excited to answer this question. Over the last week while earnestly seeking God in prayer and fasting, asking Him this same question, our GBH team has heard clearly from the Lord. From its inception, Grace Babies’ Home has been a work of God. Miracle after miracle, the Lord has systematically and abundantly provided all that is needed to build the structure that will house His vision - orphaned babies being loved and cared for in the name of Jesus Christ. God will be faithful to deliver that which has come to birth. The Mexican social services have temporarily put GBH on hold while they work to put some policies in place about placing babies in orphanages. The branch of social services that places babies into adoptive homes has separate interests from the branch that places babies into orphanages. These two parties are working together to form some structure around placing babies that is beneficial to all parties, namely the babies themselves. Grateful for our assistance to their cause, the social services are extremely apologetic for the delay and hope to place babies into our care very soon. While we wait, God assures us He is actively working to deliver His vision for Grace Babies’ Home by giving us glimpses of His work on several other fronts. We have four young women who are in various stages of the application process to come serve as interns at GBH. After much prayer, searching, and several interviews the Lord has brought us a local Mexican doctor who wants to serve at GBH. Little by little, the Lord continues to send people who want to sponsor a baby and support the ministry financially. - Pray that the Lord will deliver babies to Grace Babies’ Home according to His perfect purposes and timing. - As nothing is impossible with God, pray that Telnor would bring us telephone lines in an unincorporated area, and an additional line would be added to our Verizon cell phone plan. Both of which are important to the efficiency and safety of the daily operations of the home. - Just as the Lord called by name the skilled men to build the tabernacle, pray that He will call by name a Spanish-speaking missionary nurse to serve fulltime at GBH. A little over three and a half years ago, Arianna Kim Hamling left for heaven before even having a chance to take her first breath on this earth. Now in the arms of Jesus, Arriana continues to make a difference in the lives of babies and children throughout the world. 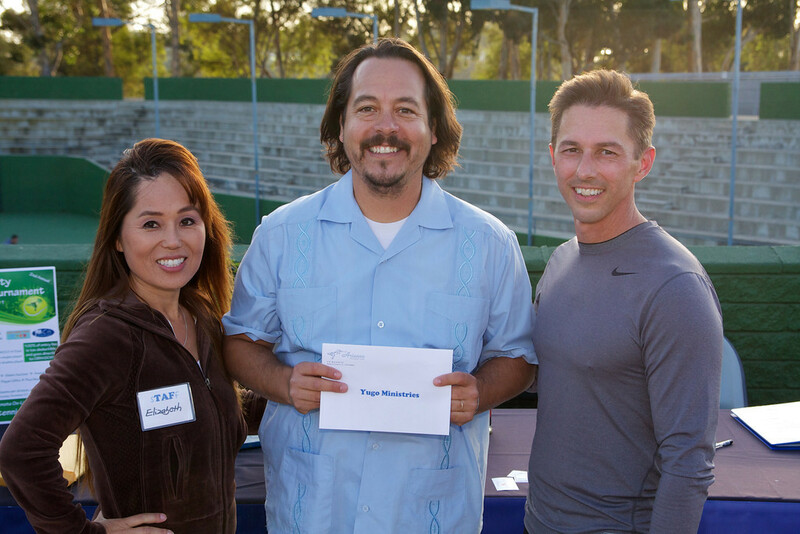 This weekend the Arriana Foundation hosted their 2nd annual tennis tournament to benefit Grace Babies’ Home. Over 30 people entered this lively and fun event. There were awards, player gifts, and a silent auction. As they looked down on this weekend and the impact it will have on little ones for all of eternity, we are sure that Arriana and the Lord are pleased.